Founded in 1789, Georgetown University is recognized worldwide for excellence in International Relations, Politics, and Law. It is consistently ranked as one of America’s top 20 universities. Famous alumni include US President Bill Clinton, actor Bradley Cooper, and the Crown Prince of Spain. 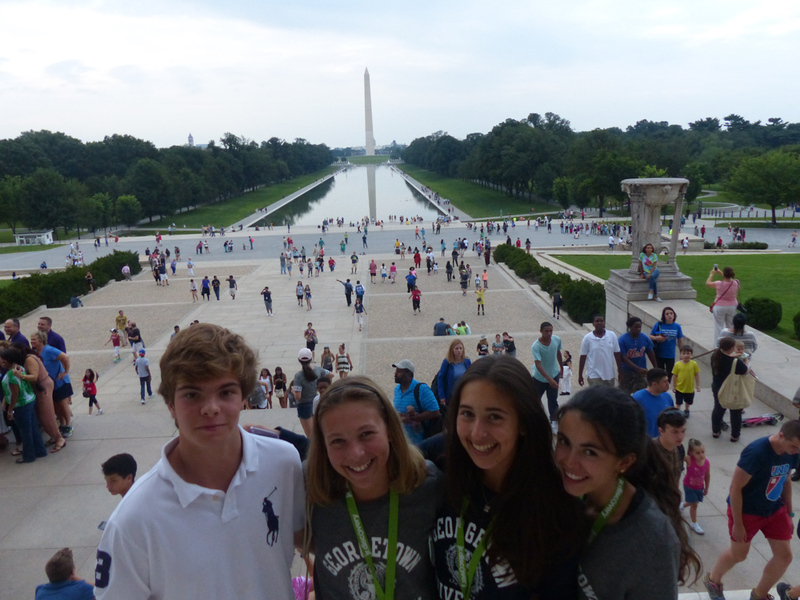 With its ideal location in the beautiful and historic Georgetown neighborhood of Washington, D.C., Georgetown is the perfect setting for a middle school program. 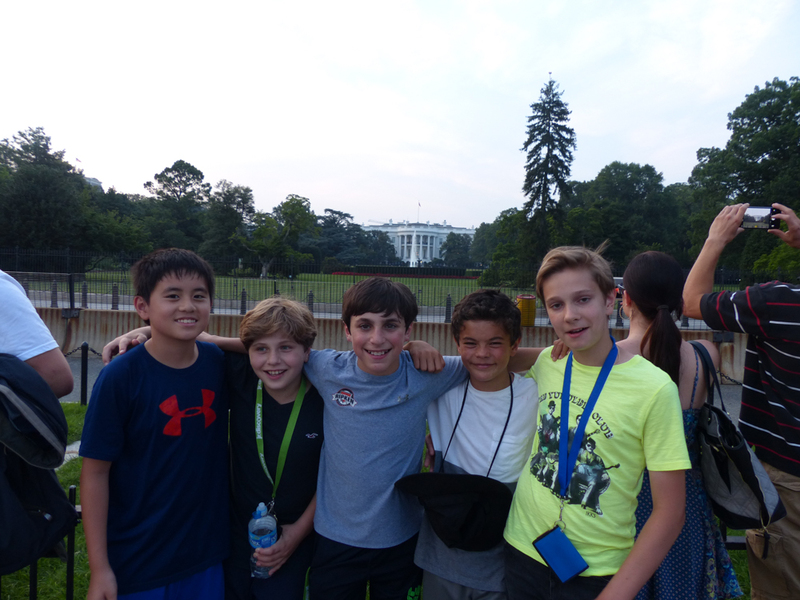 During our 19 year partnership with Georgetown University, we have provided incredible summer experiences for thousands of middle school students from the United States and all over the world. In the Jr. Discovery community, everyone is welcome and everyone belongs. Join us and create long-lasting friendships this summer. Live with your new friends in one of the best college neighborhoods. Become more mature and confident with the support of our amazing staff. Choose from 25 different interactive Skills for the Mind and Body educational workshops. Digital Photography. Pre-Algebra. Sports and Entertainment Law. Tennis. Volleyball. Discover Washington, D.C. and the East Coast this summer. From the Capitol Building to Six Flags to a Washington Nationals baseball game, every day is action-packed. 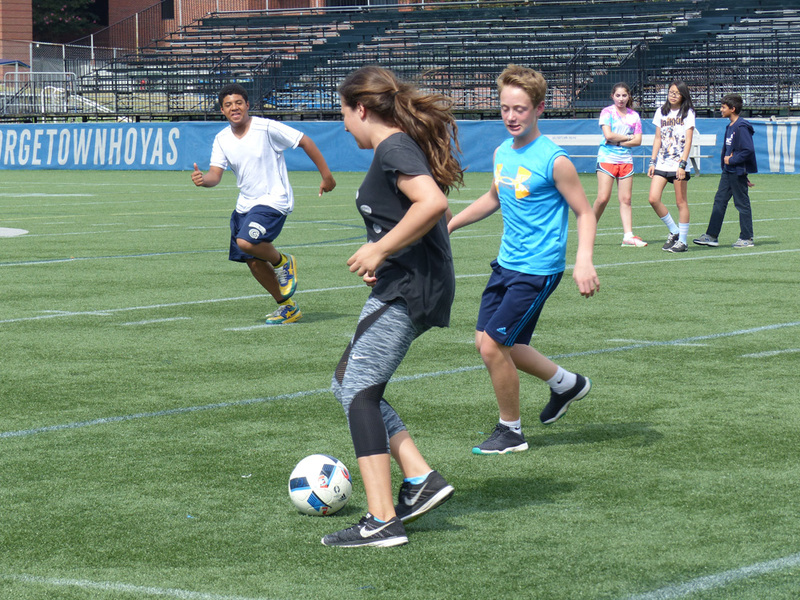 Take advantage of the amazing Big East athletic facilities at Georgetown through Skills for the Body workshops, pick-up games, and tournaments. 7:30am Roll out of bed and head to breakfast, where you can enjoy a bagel, eggs, fruit, and more on your way to class. 8:30am Meeting time. Hear about the day’s exciting activities, world news and sports highlights, and today’s weather. 9:00am Grab your notebook and pen (or your laptop) and don’t be late for your first Skills for the Mind workshop. 10:15am Morning Break. Grab a snack or say hi to your friends before heading to your next workshop. 10:45am Keep up the great work during your second Skills for the Mind workshop. 12:00pm Enjoy lunch with friends, relax in the lounge, and prepare for your afternoon Skills for the Body workshop. 3:00pm Head to the field, the gym, or the dance studio for your afternoon Skills for the Body workshop. 4:15pm Your summer, your way. Sign up for the activities you want to do. Choose from sports, arts & crafts, museums, and more. 6:00pm Dinner time! Georgetown has the coolest dining hall of any campus we’ve seen. 7:00pm IMAX Movies. Karaoke Night. Rock-n-Bowl. Major league sports. You will never forget the memories you make with your friends at Georgetown. 10:00pm Enjoy some snacks, watch a movie, or play ping pong in the lounge. After a full day, it’s nice to relax with friends. *Schedule/times are approximate samples and vary on each campus. You must arrive on the specified arrival and departure days only. If this is not possible, you must arrive the day after arrival day or depart the day before departure day. There are no rooms available at our residence hall outside of the dates of the program. Jr. Discovery provides escorted transfers from/to Ronald Reagan Washington National (DCA), Dulles International Airport (IAD) and Amtrak's Union Station for $75 each way. We do not provide transportation from Baltimore/Washington (BWI) Airport. We meet you at baggage claim or outside customs for international flights, and assist with your departure. Commuter student tuition includes: Skills for Mind and Body Workshops, lunch in O’Donovan dining hall Monday-Thursday, Friday trips, daily afternoon activity, and access to Georgetown Village C Residence Hall lounges. Overnight stays are not permitted. Students who live in the Washington, D.C. area can participate in our program as a commuter student. Live at home and take part in the program Monday-Friday. Join Skills for the Mind and Body workshops and afternoon activities Monday-Thursday. On Friday, you’re invited to participate in our all group day trip. We go to Six Flags, Baltimore Harbor, and other fun attractions. Visit our commuter page for more details.